Florida insurance regulations and dishonest insurance carriers can complicate the process of recovering compensation for injured motorcyclists. Therefore, it is important for injured riders, or loved ones acting on their behalf, to retain an attorney who has experience handling these types of claims. Our attorneys at Morgan & Morgan have a successful history of handling claims against insurance companies and, for one rider, a $47,500,000 verdict for injuries sustained in a head-on collision. While each case is different and damages will vary, our attorneys are committed to helping motorcyclists recover compensation for their losses, which may include medical bills and property damage. It may be difficult for injured riders to recover compensation following a crash, especially if they are pursuing their claim without the assistance of an attorney. Because Personal Injury Insurance Protection (PIP) in some states is only required for vehicles with four or more wheels, motorcyclists are not permitted to carry PIP coverage. Even if the motorcyclist owns a car that is covered by PIP insurance, the coverage does not extend to accidents that occur on the motorcycle. If the motorcyclist is uninsured, they may struggle to pay for costly medical bills, especially if the injury prevents them from working. 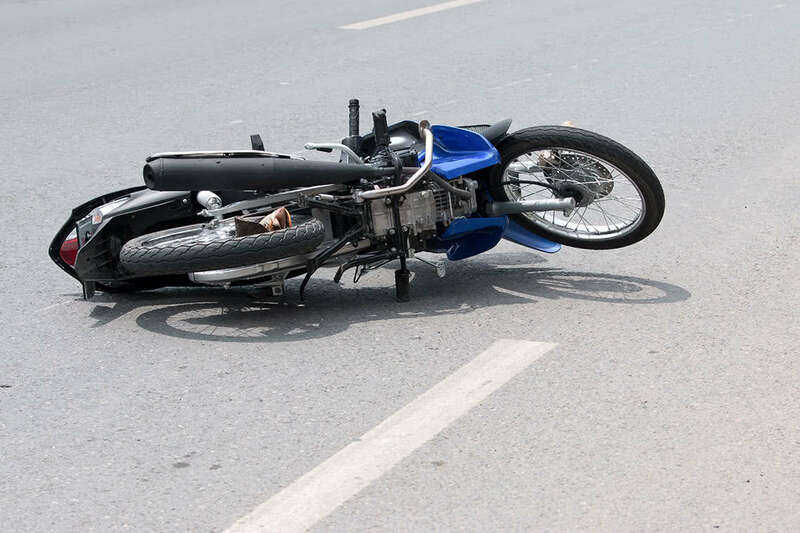 At Morgan and Morgan, the motorcycle accident attorneys are familiar with laws governing motorcycles — which differ significantly from those pertaining to car accidents — and have extensive experience dealing with insurance companies. We have access to the top experts, including accident reconstructionists and medical experts. By working with these individuals, our attorneys have established a successful track record of results in recovering compensation for injured motorcyclists, including a $6.5 million motorcycle accident verdict. If the motorcyclist was not at-fault, they may be able to seek damages from the party negligent in causing the crash. While motorcyclists are not covered by PIP insurance, they are also not bound by its restrictions. Injured riders are not limited in the damages they may seek to compensate for their losses, including damages for pain and suffering. Motor vehicle accident claims involve PIP insurance—which requires the injured party to pass an “injury threshold” to be able to pursue compensation from the negligent party—and do not allow for the recovery of pain and suffering damages. Motorcyclists do not have to pass an injury threshold to seek compensation for damages, which may include medical costs, lost wages, and pain and suffering. Past and Future Medical Expenses: Victims can file to receive compensation for emergency visits, hospital care, surgery etc. if the injuries were directly related to the accident. Loss of Consortium: The surviving spouse may be awarded compensation for the loss of services, assistance, aid, society, and companionship of his or her loved one in the case of a wrongful death caused by a motorcycle accident. Surviving parents may be awarded compensation for the loss of love, affection and companionship of their minor children as a result of their wrongful death. Likewise, minor children may be awarded compensation for the loss of services, assistance, aid, society and companionship of their parents as a result of their wrongful death. If you were injured, or lost a loved one, in a motorcycle accident, you may be entitled to compensation. To find more about motorcycle accident lawsuits, fill out our free case review form today. Reach out to us if you’ve faced any type of personal injury. Our attorneys handle several specific areas of practice and want to help you. I was involved in a motorcycle accident where the guy that hit me had minimum insurance, and his insurance company wanted to put the blame on me. I went to multiple attorneys that told me to take the loss and it wasn't worth fighting. I went to Morgan & Morgan and they were able to have all my medical bills covered (I didn't have health insurance or bike insurance at the time) and they put some extra money in my own pocket. I'm usually an advocate for smaller attorneys because I thought bigger attorneys like Morgan & Morgan only care about your money, but I was proved completely wrong. They were so nice about everything and just wanted to help, I highly recommend using them for any type of personal injury case!! !